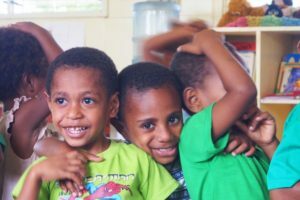 Some 52 years ago the Josephites boldly commenced their mission with the people of Papua New Guinea, working with some of the most remote communities in the world, and remained there for nearly 40 years. This year MMI is humbled to continue this legacy, and once again spread the Josephite charism to this struggling nation through the gift of education. MMI with our local partner, Callan Services reconnects with the remote township of Vanimo taking action to increase critical access to health and education to over 250 children and adults with a disability. Volunteers will gain necessary training in using media, art, drama and public speaking to advocate, identify, assess and refer people with disabilities to essential services, changing the lives of those living with disabilities. will allow children to be school ready and develop early literacy skills that will improve their chances of being engaged and finishing school. Volunteers also attend workshops, engaging parents actively in their child’s schooling, increasing their awareness and understanding of the importance of early education and creating a positive learning environment in the home.